Join us at the first ACE meeting of 2018! Scratch the surface of why people love Maine and you’ll find a strong network of nonprofit organizations delivering on their mission. Jennifer will provide a snapshot of the Maine nonprofit sector, including how many we have in Maine, how many people work for them, and their economic impact per region. She will also talk about the uncertainties facing nonprofits due to recent changes by federal legislation and the share some observations about lies ahead in 2018. Jennifer Hutchins became the Executive Director of the Maine Association of Nonprofits in July 2016 where she leads a member network of more than 900 charitable nonprofits and 150 private partners. Prior to joining MANP, Jennifer was Executive Director of Creative Portland, where she led the City of Portland’s efforts to strengthen the creative economy. Previous roles were held at the University of Southern Maine, Portland Stage Company, in Washington D.C. and abroad. She holds a Master’s in Public Policy and Management from the USM Muskie School. Let's chat about tools you can use to organize your projects, priorities and people! Do you prefer planning on paper - or do you have your head in the cloud? What tools do you use when it comes to planning, prioritizing and collaborating? I'll share some tools of the trade that I use to make my life easier and give examples of how you can start to organize your life using technology and traditional methods. 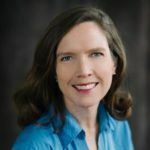 Priscilla Hansen Mahoney, of Blazing Trails Coaching, is a business coach and strategic advisor with a passion for helping businesses Grow, Profit and Succeed by developing strategies, systems and leadership teams. She is an ICF accredited business coach, trained by iPEC coaching with over one thousand hours of hands-on coaching skills. 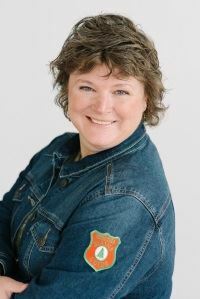 With her over 20 years experience in process management, Six Sigma and High Performance Team Building, she has helped hundreds of business owners create their business models, develop strategic plans, execute action plans, train team leaders, and build the business of their dreams that fully supports their lifestyles. Registrations (and registration cancellations) are required by January 16th. If you want to be included on the registration list at the meeting then you need to register by the due date. If you find you can't attend, please notify us by January 16th. After that date, we cannot refund or push forward.